The Department of Ecology is looking for three Watershed Implementation Leads in our Water Quality Program. These position develop and implement water quality improvement plans with a focus on increasing community involvement, and are located at our Eastern Regional Office in Spokane, WA. We are looking for applicants who possess excellent people skills, have the ability to collaborate with diverse groups, and are passionate about protecting stream and rivers from non-point pollution. The most qualified candidates will have the ability to communicate effectively with different audiences on complex water quality issues, and quickly assess situations and make decisions. As an agency, our mission is to protect, preserve and enhance Washington’s environment for current and future generations. We invest in our employees to create and sustain a working environment that encourages creative leadership, effective resource management, teamwork, professionalism and accountability. 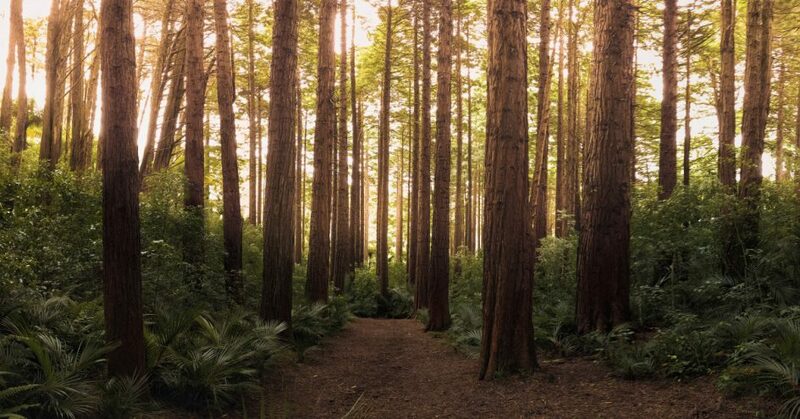 To learn more about The Department of Ecology, please visit our website at www.ecology.wa.gov and check us out on Twitter, Facebook, Instagram or our blog. Watershed Implementation Leads identify pollution problems within streams, rivers, and lakes, and develop strategies to fix these problems. Each position will specialize on a specific geographical area or watershed, and will focus on specific skills including water quality monitoring, fisheries, non-point compliance/enforcement, complaint response, geographic information systems (GIS), state environmental policy act, CAFOs, etc. This focus will allow each position to understand each watershed’s specific situation, and come up with effective, tailored solutions. What are these positions’ goals? Improve water quality and aquatic health by implementing best management practices that are effective at protecting streams from land-use impacts. Improve water quality and habitat for salmonids and other aquatic species. Develop clean-up plans for polluted streams and then work creatively to implement those plans in order to meet water quality standards. What does a Watershed Implementation Lead do? Work with landowners, small businesses, and conservation organizations to improve stream health by implementing stream restoration activities. Evaluate water quality impacts and stream condition for waterbodies that are polluted, and then develop clean-up plans designed to meet state water quality standards. Work to protect and improve aquatic habitat including helping to recover Endangered Species Act (ESA) listed salmonids. Provide oversight on state funded grant projects designed to reduce water pollution. Examples of projects include installing fence to protect streams from livestock, planting native vegetation, public outreach and education on non-point pollution, stream bank bioengineering, and installation of large wood structures. Enforce state water quality law by requesting and potentially requiring practices, such as stream setbacks, that are known to be effective at protecting water quality. Occasionally deliver tough or unpopular messages about what is needed to protect water quality. These positions often see the on-the-ground results of their work, such as restored stream reaches, implementation of conservation practices, and improving water quality. These positions are part of a watershed team that cares deeply about our mission to protect and improve water quality, and is tasked with exciting, complex work that makes a difference. The team members bring a lot of energy and enthusiasm to their jobs. Team members are committed to supporting each other and they desire to see the all members be successful. These positions are open until filled, with the initial screening on January 28, 2019. In order to be considered for the initial screening, please submit an application on or before January 27, 2019. The agency reserves the right to make an appointment any time after the initial screening date. A Bachelor’s degree involving major study in environmental, physical, or one of the natural sciences, or other allied field AND five years of professional-level experience in environmental analysis or control, or environmental planning, which includes one year equal to an Environmental Specialist 3 or above or two years equal to an Environmental Specialist 2 or above. A Master’s degree in one of the above fields AND three years of professional-level experience as required above which includes one year equal to an Environmental Specialist 3 or above or two years equal to an Environmental Specialist 2 or above. Training on water quality standards and use attainability analyses. Experience reviewing sampling plans, laboratory reports, scientific reports, permit applications. Experience in watershed planning approaches for control of water pollution sources and water cleanup plans (TMDLs) that include recommendations or implementations of cleanup measures. Experience working with nonpoint source pollution control strategies. Experience working with of Phase II stormwater permits. If you have specific questions about the position, please email Chad Atkins at: Chad.Atkins@ecy.wa.gov. Please do not contact Chad to inquire about the status of your application.